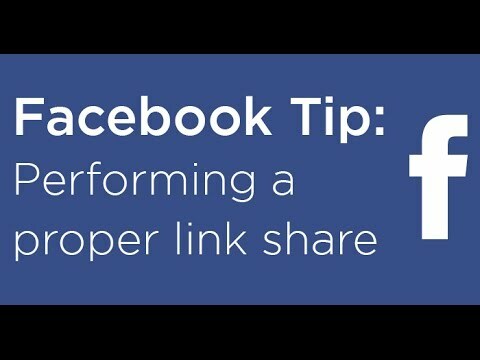 How to properly perform a Facebook link share in four steps! Do you wish your content could get seen more in the Facebook news feed? Have you ever considered that you are sharing your content the wrong way? For example, using a text update instead of a Facebook link share? With recent changes to Facebook text updates, if you run a Facebook Page and want to have more people see your page posts in their news feed, you will want to use a Facebook link share instead. Everything you share on Facebook on your Facebook Page is only seen by a select group of fans. This is because you are competing against other items in the news feed. If you want to beat out your competition (or at least make a better showing), you’ll want to use Facebook link shares. Not only do link shares take up more space in the news feed, which works to your benefit if you have an eye-catching image, but they have the opportunity to help you sell your content better to fans instead of posting a status update without any sort of visual. Here is an example of a Facebook link share. Creating a Facebook link share is very easy. I’m actually surprised more people don’t use them. To create a Facebook link share, follow these instructions. This small tweak to how you share updates on Facebook can bring big rewards. When you shared links on Facebook, what were some of the reasons why you decided not to us a Facebook link share? Was it that your content did not have quality images? Did you not know the proper Facebook dimensions for images? Christian — thanks for this tip. I’m going to give it a try. Why does Facebook have to keep changing everything? @jeannettepaladino:disqus you’re very welcome! A quick tip that can pay-off big-time in the Facebook news feed. In WordPress, I would start by adding a featured image to each post. 1200 x 627 px. Then save it as a draft. Your image should get picked up everytime. As far as promoting a post with an image that breaks the 20% rule, I agree. You could always set two different images. Upload one to your post and keep a separate one specifically for Facebook that can then be used in a Facebook Ad.